More than 95% of the world’s population lives outside the United States. The greatest potential for growth and profitability for Nebraska farmers and ranchers lies in global markets – and that means international trade is critically important. The U.S. is the world’s largest supplier of corn, commanding some 30% of the global market. Exports of ethanol have also grown dramatically. In 2017, the U.S. held a 65% share of the global ethanol export market. 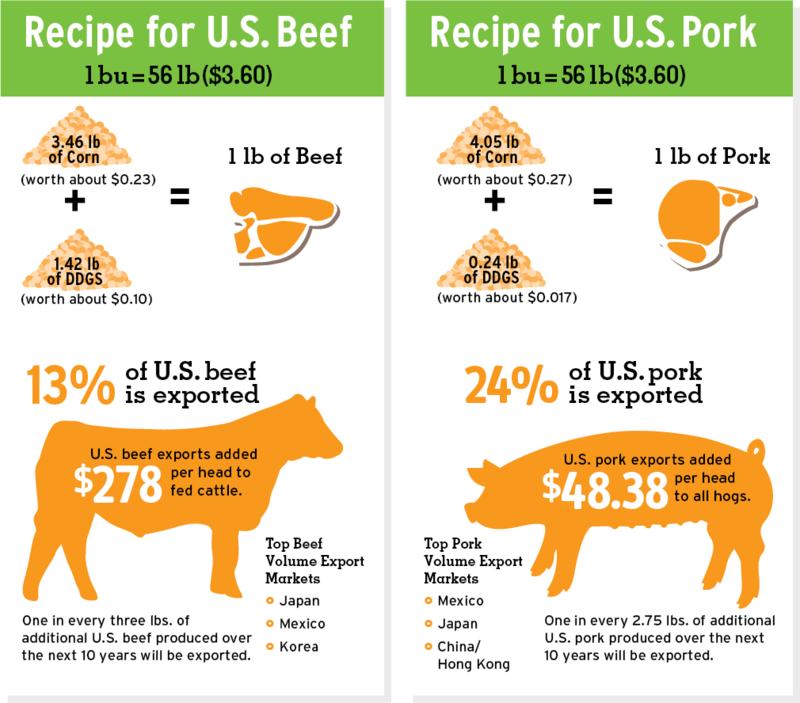 Additionally, 13% of U.S. beef is exported – and 24% of U.S. pork finds its way to international markets. The U.S. also exports corn co-products such as distillers grains and corn gluten feed. International trade drives demand – and demand drives price. 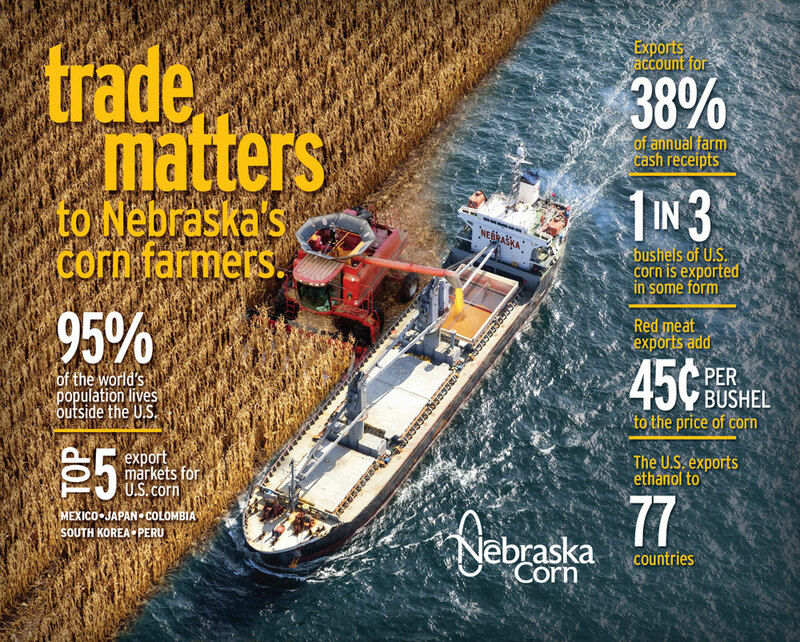 That’s why trade is important to the bottom line for Nebraska corn producers. When you think of exports, you may think only about what we send outside the United States, but most of Nebraska’s exports stay within the borders of the U.S. Nebraska corn is in high demand at beef and dairy operations in Texas, Colorado, California and the Pacific Northwest. Nebraska ethanol is also exported to Texas and other markets in the southwestern and western U.S.
Nebraska is the largest corn and ethanol producer west of the Missouri River, so we are in a perfect position to serve these markets thanks to our abundant production and competitive transportation costs. As a result, much of the corn, distillers grains and ethanol we produce in Nebraska is used right here in the United States. But international exports of these products help increase demand and drives prices both domestically and worldwide – and that improves profitability for farmers, livestock producers and ethanol producers in Nebraska.